Clive Wilson mainly explores the human form whether it be portraits or figurative. Faces are how we recognise each other and how we express ourselves. Our entire world is connected by faces. In his paintings, he has been exploring different ways of portraying faces and most recently, expressing emotional situations through facial expressions and silent interaction between the people depicted on the canvas. 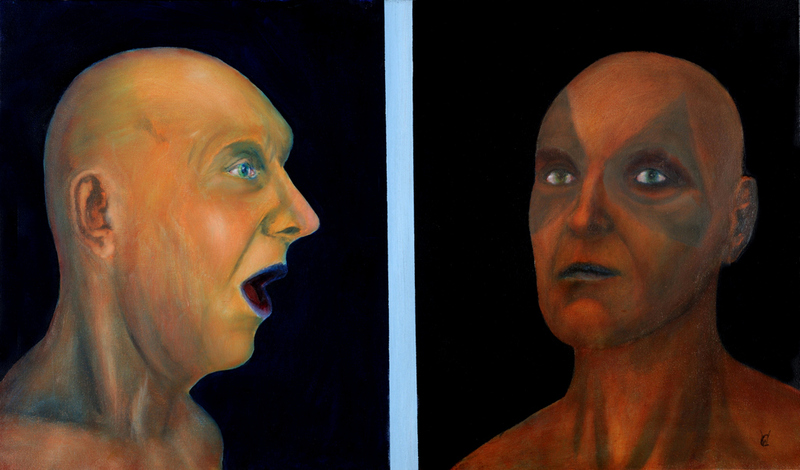 Loosely based on self-portraits the interactions come from within himself, but are equally applicable to others. The intention is to draw people in so they are left wondering what has happened here, what is going on and what will happen in the future?